Till today! I got a very nice, used, (only used by the previous owner for two days) SDS100. Not a lot off the new price, but, since I'm in Texas, had I purchased it from one of the dealers here, I would have had to pay taxes and probably some shipping charges. week when I take it with me to Arizona. 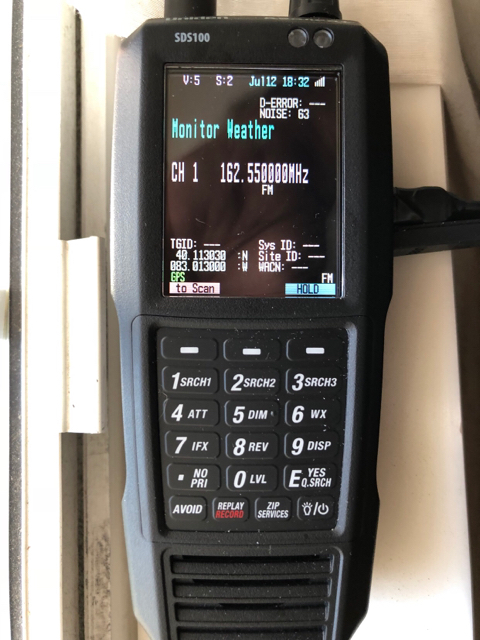 Driving thru Casa Grande and Phoenix areas, there are several really bad simulcast problems that my Uniden 885 Hybrid CB and Scanner choke on. It will be interesting to see how well it does in those areas. It has the latest official firmware update according to Sentinel. I plan to get a cable for my GPS puck that came with a 536 I bought. So, that'll make things easier too. Nice job! Out of curiosity what did the cable parts cost you to make your own GPS cable for the SDS100? I'm assuming the cable for the 100 is not the same as the one I have for my 536/996...? But the puck itself is still usable. Also, I saw a thread about bluetooth but I don't see any other info on it. Does the 100 have bluetooth capabilities? The Uniden BC-UTGC GPS cable is for use only with the SDS100 and the BCD325P2. I'm also here in the Fort Worth area, up in the Lake Worth area in the northwest part of the county, and the SDS100 has been like a difference between night and day as far as reception goes for me. My BCD436HP doesn't hold a candle to the reception I am now experiencing with my new scanner. I think you really need to be in an area that reception is a constant issue to possibly see how much better the SDS is doing? I am now able to also pick up Johnson County, a county I could not listen to unless I was hooked up to outside antennas but then I couldn't listen to my local public safety agencies due to the simulcast issues, with a rubber ducky antenna and I'm really noticing improved range wish no signal problems. I am very happy with my clean & clear reception and just being able to hear complete transmissions and conversations which I could never do with my 436. I took a short trip down to Temple, Texas a few weeks ago and use my GPS puck and the new adapter cable I had to buy. I'm glad I ordered it when I did because I had no idea they would be selling out. But the whole trip was very enjoyable as far as how the scanner performed and how clean the audio sounded. 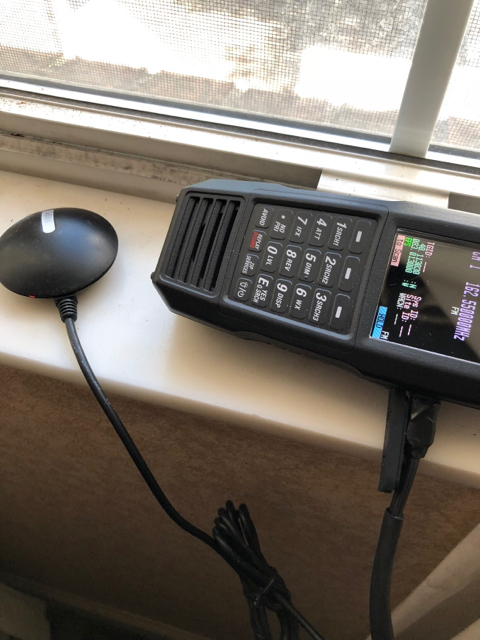 I'm not sure if you're using the stock antenna but you might have better luck if you have another antenna you can put on the scanner or hook up to? I'd be interested in knowing how your trip goes and how the scanner does on the systems out towards Phoenix. Good luck! I live just north of Crowley in south Fort Worth. I get Johnson County pretty well with the stock antenna. Overall, I am happy with the SDS100. But, once I get it out in the Casa Grande and Phoenix area, I will be able to give it a good workout. Especially in Casa Grande. There is about a 15 mile stretch along I-10 that, using my 885 Hybrid CB/Scanner, the audio in places is very garbled. But, drive less than a mile and it clears up! There is a Petro Truckstop at exit 200 that I can park near the restaurant and the audio is garbled. Park towards the back of the lot and all is clear again. Simulcast distortion at it's best! So, I'm looking forward to seeing how the SDS100 handles it. I plan to take along the 436 as well to compare it too. Should be interesting to see what happens. Yeah once Crowley moved over to the Johnson County site I lost them on my 436. Back when Crowley was on Layer 1 / Site 1 I was able to listen to Crowley. But now I can pick up everything again on my 100 with just a run-of-the-mill rubber ducky antenna. And I'm getting a good three to five bars at least on the signal strength meter. That really surprised me. I've been doing the same thing as you are planning to do. I've been testing my 436 comparing it to my 100 and I'm really happy with the 100. The 436 still has issues and I'm missing a lot on Fort Worth Layer 1 and Layer 2 but not anything on the SDS100 thankfully. I've heard of few transmissions that were garbled but thankfully the dispatcher came up and told the unit that's how she received their traffic also so I knew it wasn't my radio. I think I live in a really bad area where the circles overlap on the coverage map and the new scanner seems to work perfectly now. I'm even thinking about selling my 436. I probably won't but I'm still thinking about it. And I'm with you on the beta firmware update. I'm not having any of the problems that it addresses as far as I can tell and I'm always hesitant to try out beta updates. If there is a fix I'll just wait until it's not a beta update haha.